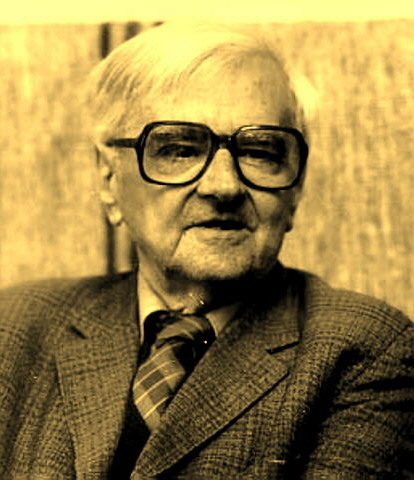 Born June 22, 1913 in Szombathely. Poet, translator. Completed elementary school studies in Pápa and Csönge and gymnasium studies in Szombathely, Győr, and Sopron. Recognized as promising poet when 14. Studied law at University of Pécs for six months, then geography and history for year and a half, and in 1935, philosophy and aesthetics. Obtained doctorate in philosophy. Awarded Baumgarten Prize in 1935 and 1936. Visited Far East in 1937. Worked in libraries in Pécs, Székesfehérvár, and Budapest 1941-1950. Was secretary of Janus Pannonius Társaság and official of Szabadművelődés in Székesfehérvár for a time. Co-editor of Sorsunk. Visited Italy 1947-1948. Traveled in China in 1959. Has devoted time to writing since 1951. One of most important lyric poets in 20th-century Hungarian literature. Member of third generation of Nyugat School. Poems strongly surrealistic and mystical. He uses a great variety of forms and techniques. His structuring of thought and emotion is considered exceptional. Distinguished as a translator of nearly every major European poet. Some of his poems have been translated into English, French, German, and Italian.